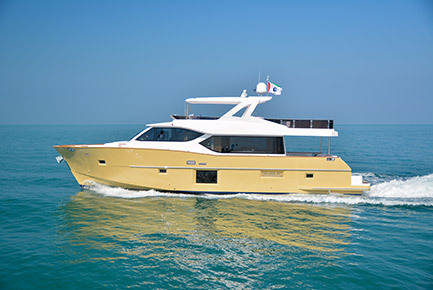 October noted the arrival of a very popular model from the Gulfcraft range. 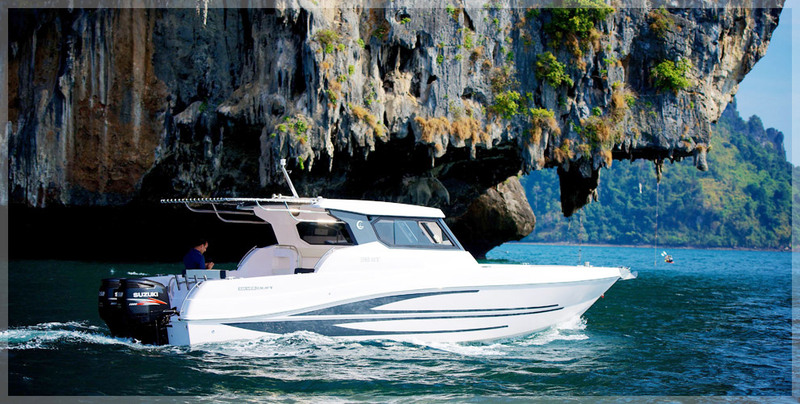 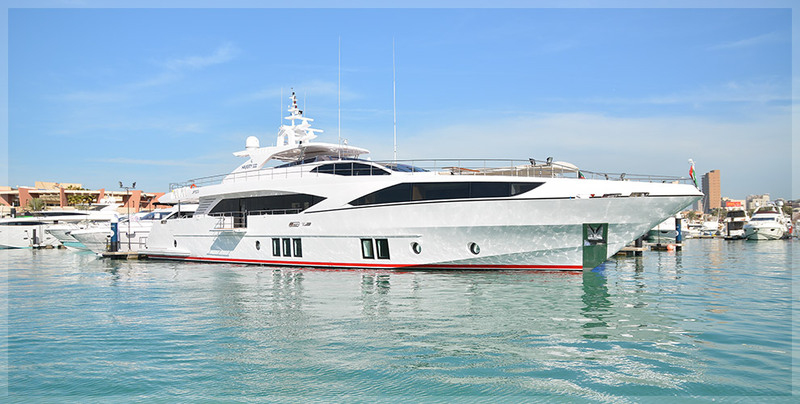 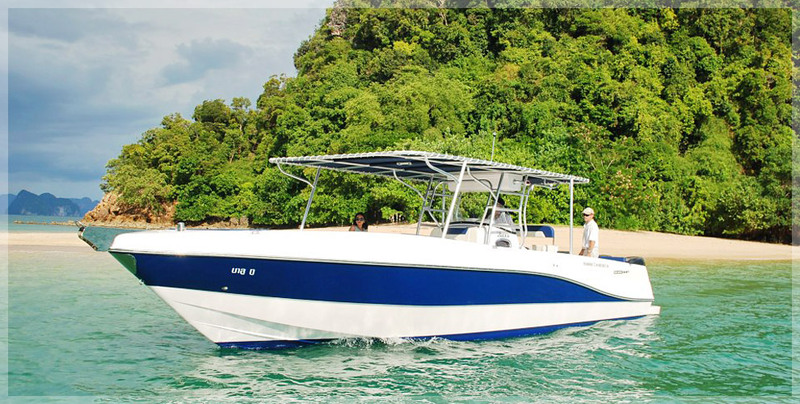 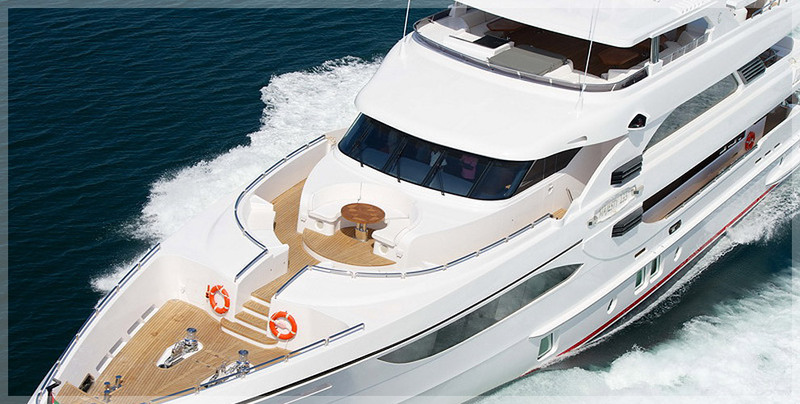 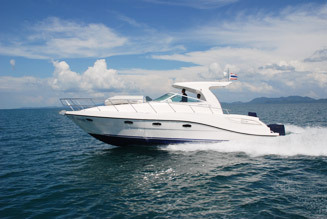 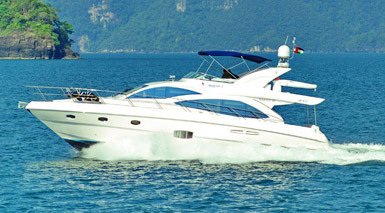 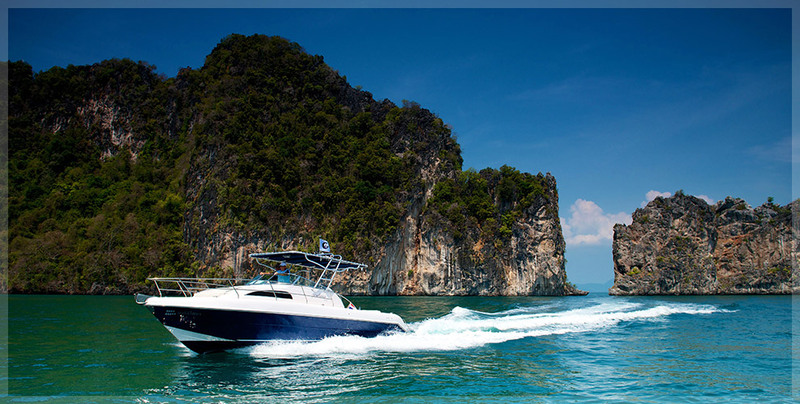 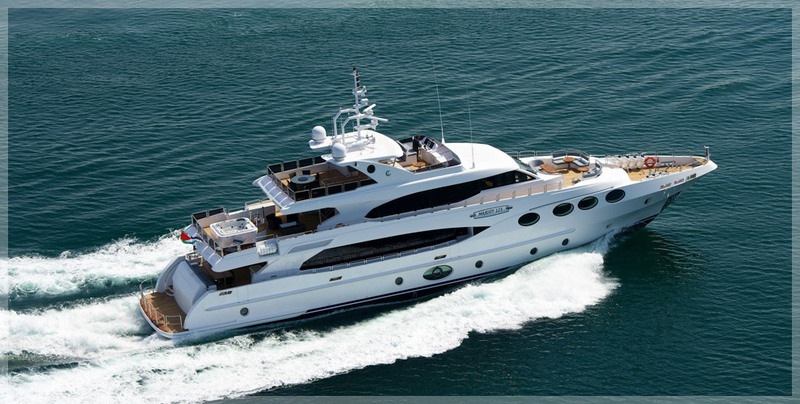 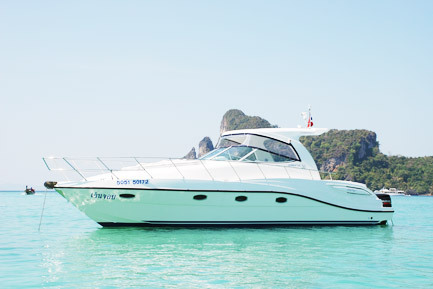 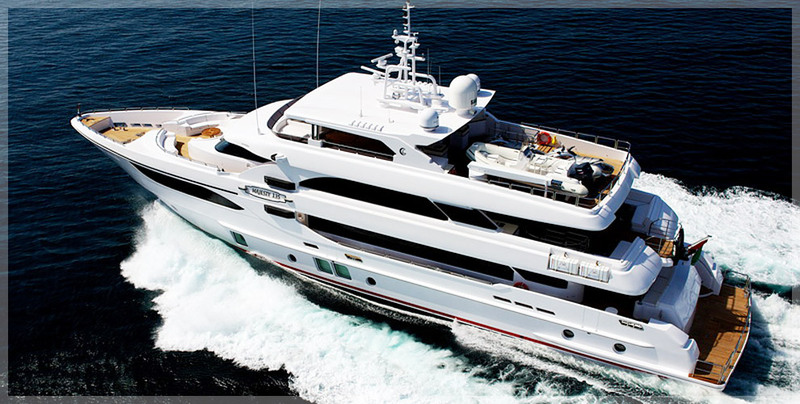 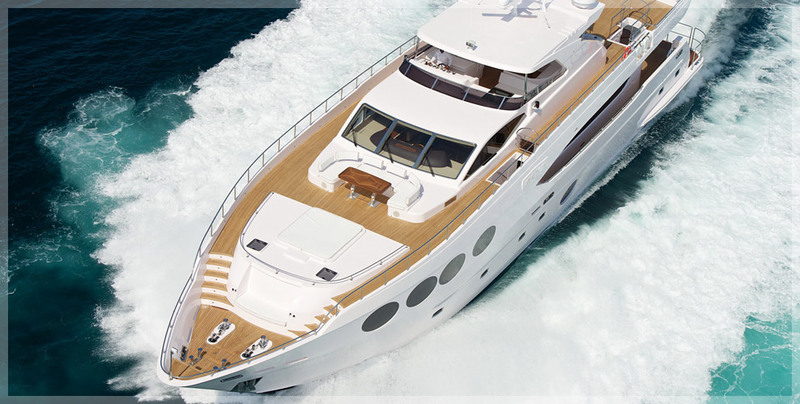 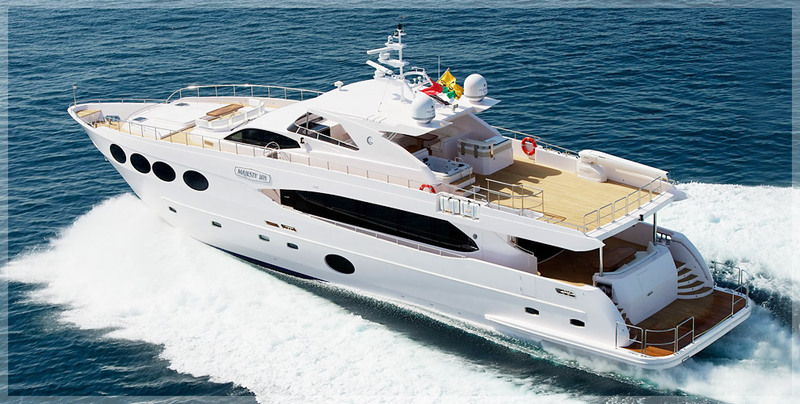 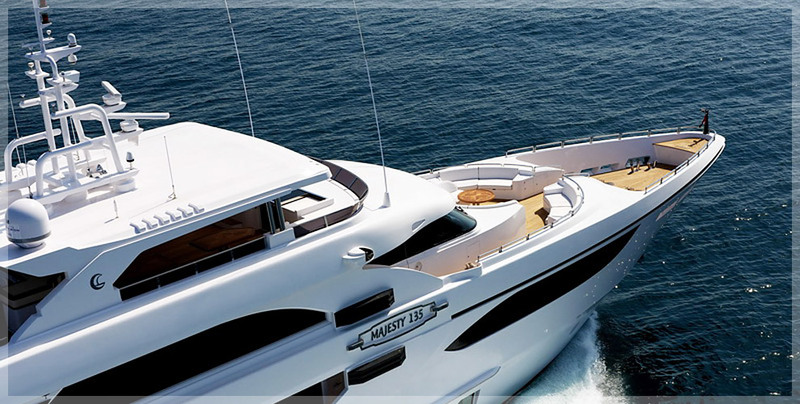 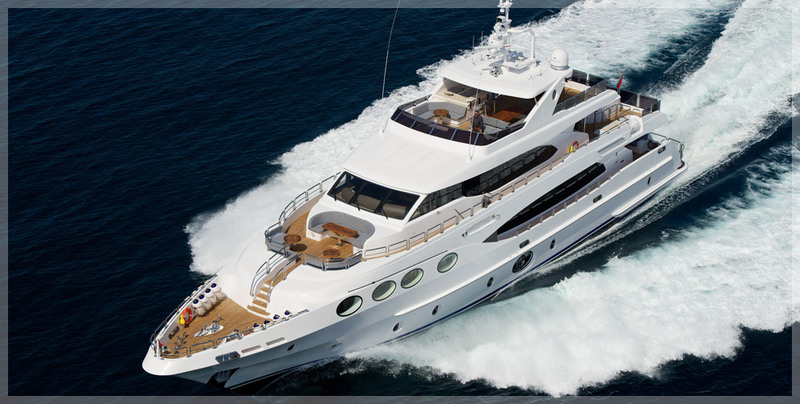 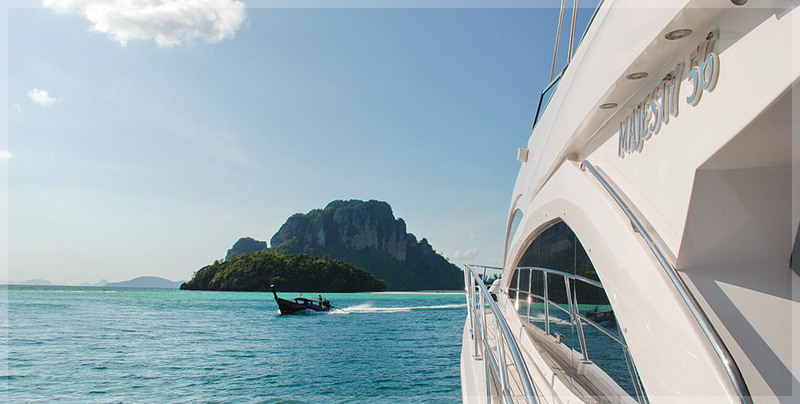 An Oryx 36 ordered and destined to her owners, a prominent charter company here in Phuket. 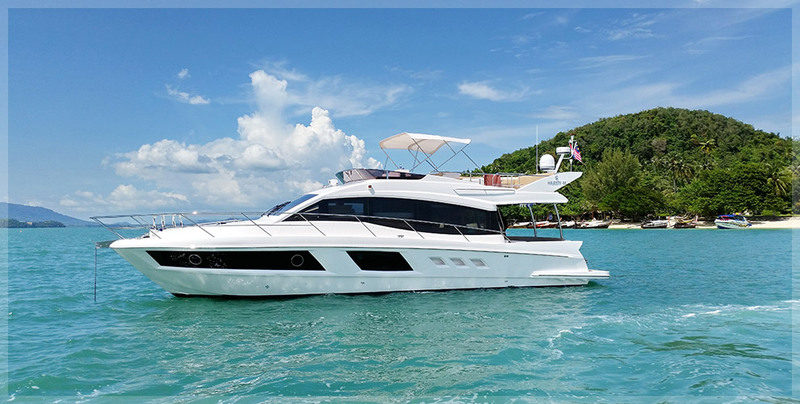 Her owners Andaman Private Charters ordered this lovely new Oryx very close to the start of the new season and requested the team at Go Boating to try to deliver as early as possible. 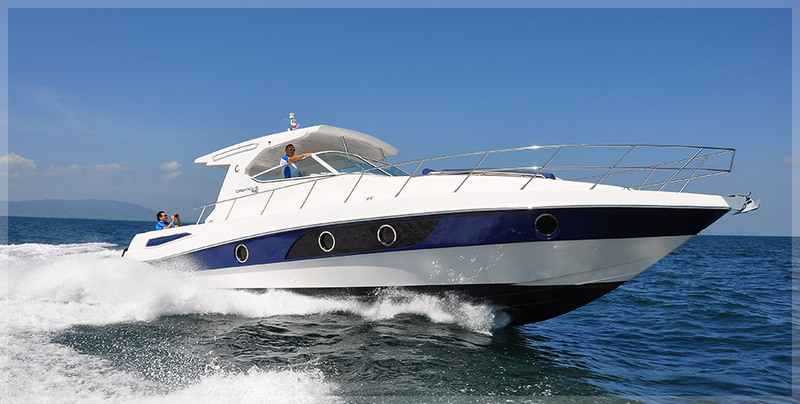 Working closely with the factory, Go Boating secured a very quick build slot and the boat arrived less than 8 weeks after the initial order. 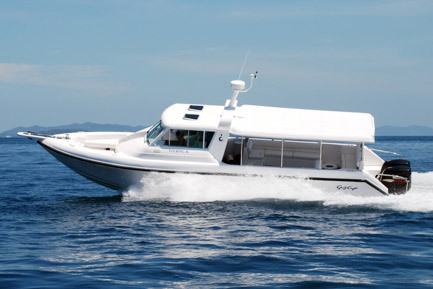 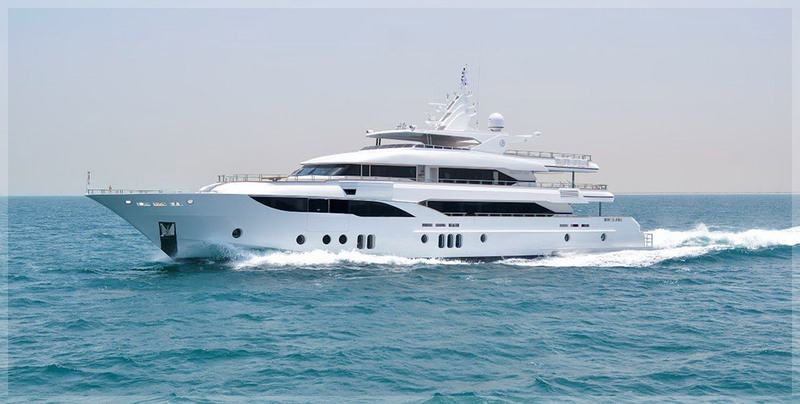 Ordered and rigged with Suzuki’s top of the range 300hp engines this Oryx performs and cruises beautifully, giving a top speed of 40kts and a fuel efficient cruise of 27 knots burning only 85ltrs of fuel per hour. 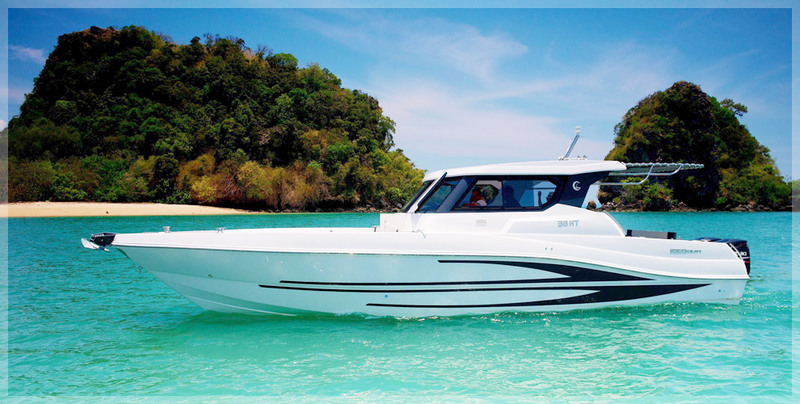 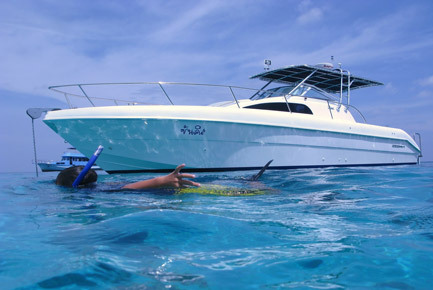 This boat has already done trips to the Similan islands and due to her shallow draft gets her charter guests close into all the secluded beaches around Phukets waters.